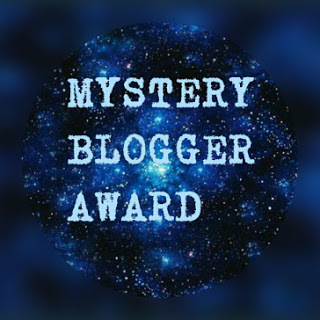 Thank you so much to Amy of A Magical World of Words for nominating me for The Mystery Blogger Award! 1: I’ve always loved reading, but I did have a major reading slump after high school. I only really started reading again about 3-4 years ago, but I’ve also never read as much as I have in these last 3-4 years! 2: My other hobby is dance, as I’ve been dancing ever since I was little and I hope to be able to do it for a long time still. 3: I have a huge sweet tooth and my favorite dessert ever is moelleux au chocolat (molten chocolate cake). Well, My very first fictional crush ever was Samwise Gamgee from Lord of the Rings. He’s just so kind, loyal and brave and I adore him <3 And I think he would be an amazing husband, so I would definitely pick him. Wouldn’t mind moving to the Shire either! The Shire would be very nice, but my other answer would be the cliché answer (sorry!) and that is the Wizarding World of Harry Potter. Who wouldn’t want to go to Hogwarts? I would love to live in the world of Beauty and the Beast. I would love to befriend Belle because she’s my favorite Disney princess and hang out live in her library. Honestly, it would be a dream to be able to read and review books for a living. A professional book reviewer or editor or blogger would be an actual dream job. I actually really love any morally gray hero/villain! But there is one so-called “villain” (though he’s really more an antagonist than an actual villain) where I was always kind of hoping he would end up working more with the heroes, and that is Draco Malfoy. Though I did like his arc, I would have loved to get more of him and see him work together with the trio. Would he be a good hero? I think he could be. Here’s the part where I don’t follow the rules, because as far as I know, most bloggers I know have already done this, or have been nominated already. So I’m not nominating anybody specifically because I’m just not sure who I’d nominate. 1: If you’d ever get a bookish quote tattoo, which one would it be? 2: What’s your favorite fictional friendship? 3: What’s one book you could re-read indefinitely? 4: Other than reading, what’s your biggest hobby? 5: What’s your favorite dessert? Random! : Someone comes up to you and offers you a million dollars. Only rule: you can never ever read any book again. How would you react? If I go by page views, then my most viewed post is this Pokemon Go Book Tag. My most viewed non-book tag is my Top Ten OTP’s. That’s it! If you’d like to do this then please consider yourself nominated! Oh, and if you don’t want to do this, but still want to answer my questions, feel free to do so in the comments. Oh dear… You’ve reminded me I haven’t done this yet #badblogger and I still have a tag to do too! Oops! Haha, happy I could remind you 🙂 Oh, would love to hear your answers to my questions!